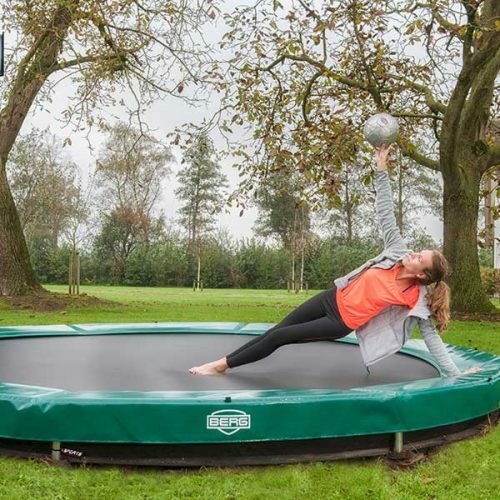 A FlatGround trampoline is seamlessly integrated into your garden. The protective padding of the trampoline lies flush with the upper surface of the garden. This results in an discrete, easy to access trampoline. The unique AeroWall is designed for the execution of (extreme) tricks by those who consider themselves as a “real” jumper. The Wall is inflated and secured to a very firm and solid frame. This ensures stability and sturdiness against which can be jumped against. The Wall is easy to assemble and dis-assemble and includes a pump. A large, rectangular trampoline has more jumping power than a round trampoline. This makes it easier for children to jump higher. This is due to the tension on the springs and the frame with a rectangular trampoline. Whether your child is doing gymnastics or does athletics, your best choice is a rectangular trampoline. With a large, rectangular trampoline you have more control over your jump. 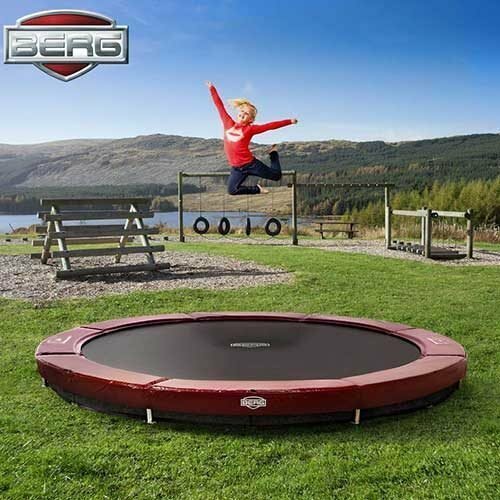 A rectangular trampoline has more jumping power than a round trampoline. This is because, unlike a round trampoline, you are less inclined to return to the middle of the trampoline when jumping. On a rectangular trampoline you also have more control on the jumps that you make. Another advantage of a rectangular trampoline is that it can be more easily integrated in a smaller garden than that of a round trampoline. The modern shape of the rectangular trampoline is complementary to the modern garden.